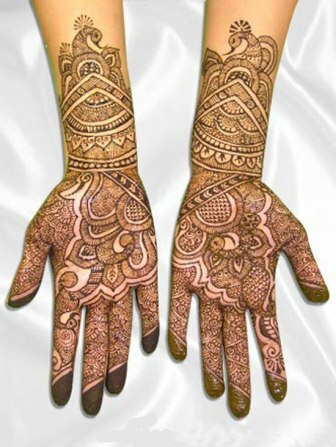 Mehandi or henna, word is of Sanskrit origin. Mehandi along with turmeric powder has been a part of Hindu ritual since ages. 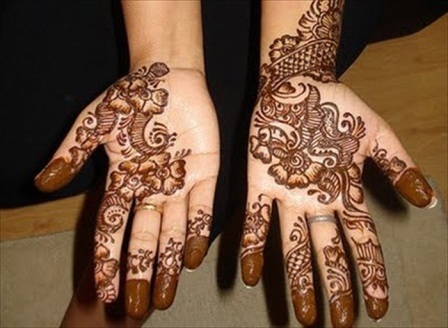 The usage of mehandi has increased throughout the world with time. The awesome fragrance, cooling effect and the color it imparts to the applicant’s hand is so mesmerizing that it cannot be described in words. I am a great fan of mehandi. Me and my sister loves to apply mehandi on our palms and then we have a competition that whose mehandi is going to be darker. You see, it is believed that the family of the girl’s husband will love the girl depending upon the darkness of the mehandi. 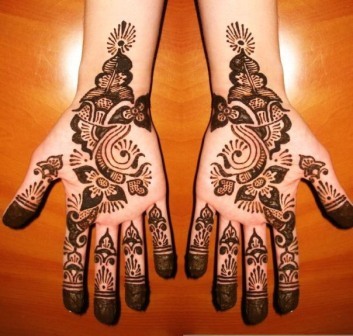 The usage of henna in the western countries is basically for the purpose of temporary decoration. Mehandi has been gaining popularity ever since and have spread its foot in almost every part of the world. 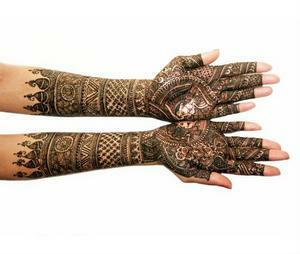 Mehandi is applied as a part of custom on many Indian rituals such as Karwa Chauth, Teej, etc. Muslim also gained the tradition of mehandi on their most important festival i.e. Eid. Mehandi traditionally was prepared at homes with lot of effort and then cones of mehandi were formed to apply on the hands or feet. With the fast growing demand, readymade cones are available in the market these days. Just apply and make your favourite design. Even readymade tattoos of mehandi are available. 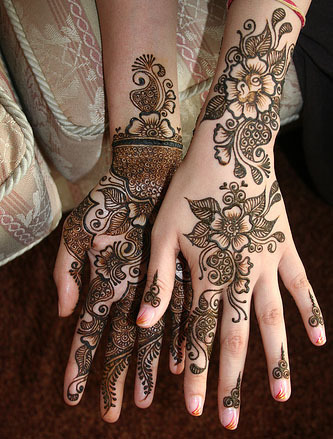 Mehandi is a ceremony that is a part of Indian marriage also. Before the marriage the bride’s and groom’s hands are filled with henna design, especially the bride’s. It is believed that the pleasant behaviour of the mehandi will fill the life of the future couple with happiness. 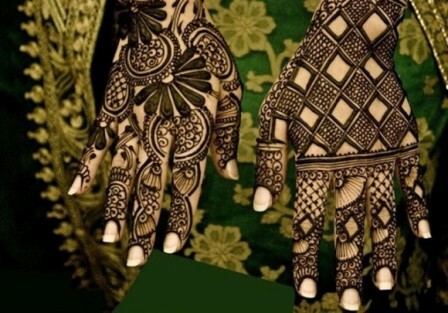 Here I tried to find some of the most common forms and types of mehandi designs. Hope you people will like them the same way like me and my elder sister does. Mehandi has been a part of Indian tradition since ages. It is even prescribed in the religious Vedas and has been used extensively in many of the Hindu festivals and rituals. 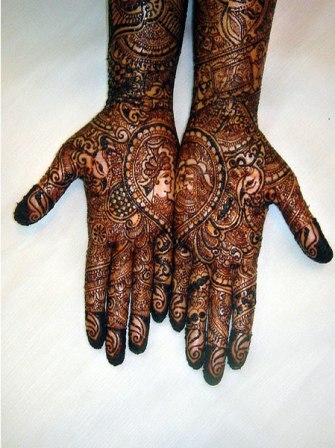 It is also considered in India that mehandi is a sign of married women’s husband. 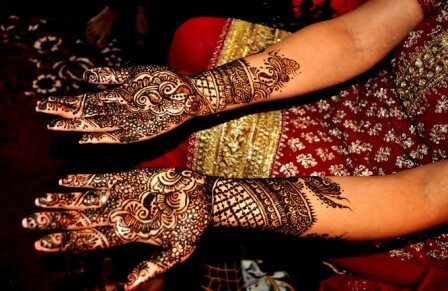 Many of the Indian festivals originate with the ritual of mehandi, for example the spring festival, Teej. Mehandi besides imparting color also has a very soothing effect. 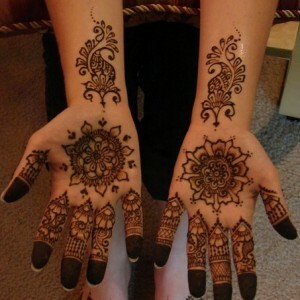 The same pleasantness is expected in the married couple’s life as is provided by henna. 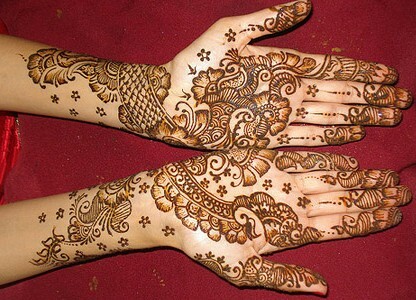 Brides are applied mehandi extensively on their palms, hands, arms and also on their feet and legs. 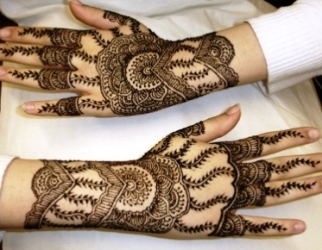 Arabic mehandi is applied with the design having leaves, flowers and the non-living forms. Its design is enhanced by the effect of shading. 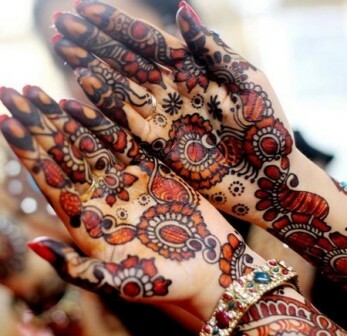 Arabic mehandi was originated from Dubai. 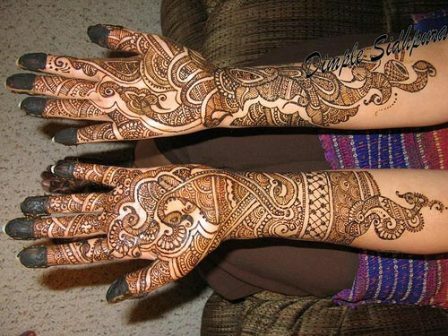 This is the most common form of mehandi design these days and is on the peak of its designs usage. Henna designs can be made simple also. It is not necessary that only difficult design forms look good on the hands. Simple designs also look good and the design also is not necessary be with minute details but still it imparts the color to the hand that obviously looks great for no reason as such. Filling the hand with the design and the fragrance is the main purpose. Easy designs consume a lot less time and are easy to apply. Why not to apply mehandi on your own hands with your own hands? Easy mehandi designs make it possible. New designs develop with the time passing by irrespective of the kind of material or element or component. Same is the case with mehandi designs also. Mehandi designs that were evolved have followed quite a dynamic behaviour and now a mixture of many forms is followed for mehandi designing. 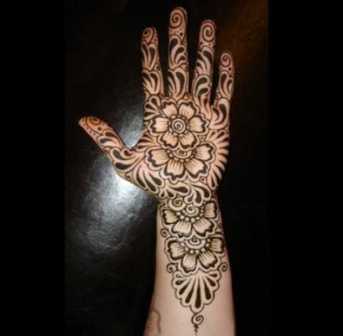 So, why not to make a beautiful mehandi design and add on to its beauty? Rajasthan is quite famous for its mehandi designs. The color that Rajasthani mehandi imparts is quite graceful and has a lot of glow in it. Might be this is because the people who does this practice take a lot of time in designing each minute detail of the detail. Pakistanis have also been practicing this ceremony of mehandi design. They have been using mehandi ceremony as a part of their main festivals like Id, besides making it a part of marriage ritual. Latest designs are loved by all and the trends change and what is in demand. So is the case for mehandi designs as well. Everybody wants the best, whether it is a home appliance, or the accessories or even the mehandi design. So, choose the best before you apply. Even small children love to apply mehandi on their tiny little hands. It is true, that mehandi is one thing that is loved by every age group. 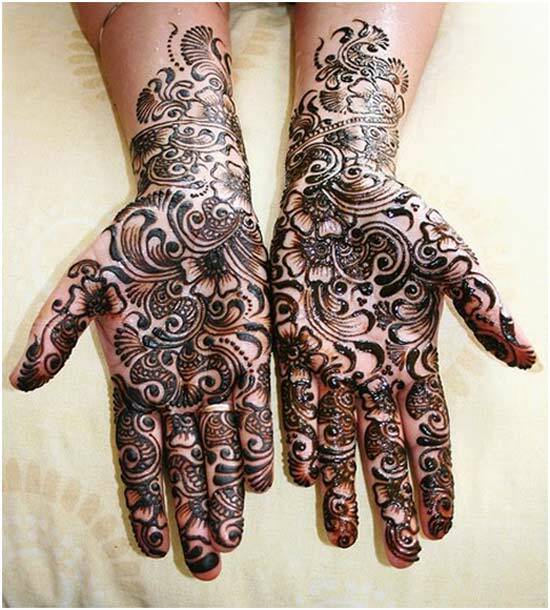 Black mehandi have been evolved with time. Basically it’s a type of synthetic mehandi and is now been used with the natural mehandi in compliance. Simple Arabic designs have been in on-going demand these days and look very graceful on the hands. 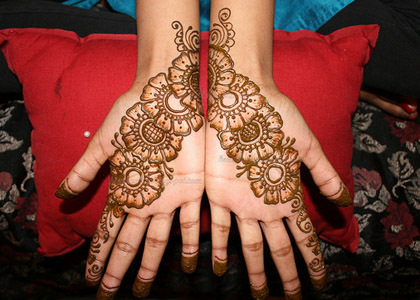 The practice of mehandi is done from ages and so is the traditional form of mehandi designs.